Compare a 30-minute walk in the park to an hour’s labour at the gym. You know which one is less likely to cause you stress and boredom. Exercising outdoors is known to revitalise your senses. You also get more vitamin D which helps you sleep better at night and keeps you pumping with those feel good hormones. Outdoor training makes it easier for your body to adapt to varied climate conditions and boosts your immunity and tolerance. Plus, there is more oxygen available outdoors that enhances the aerobic capacity and increases fat metabolising capabilities. 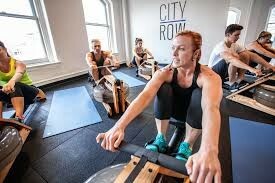 Rowing works for many muscle groups and raises the rower’s heart rate, but is easier on joints than running. It’s an intensive, total body workout. And beautiful surroundings, like a placid lake or a bay, work to feed the senses. 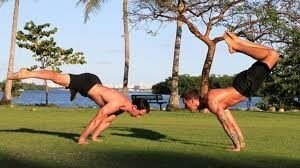 A great workout to try outdoors is the primal style workout where you mimic animal movements. It is a 100 per cent body weight training programme. In other words, you mimic the movements of animals in their natural surroundings. Crawling, twisting, jumping on all fours,etc. It improves your mobility, strength, endurance and power. It can also be incorporated into other programmes or training sessions as a warm up or a cool down and as conditioning or corrective exercises. The Irish and the Brits call it mountain or fell running. It may be old but fitness fans are now adapting it to urban jungles as well. It differs from road running and track running in that generally takes place on uneven paths, where there can be more challenging ascents and descents. You can do it in your neighbourhood. It could be as simple as a run on a bike path or on the grass, dirt or sand. Runners get a tougher workout because the uneven terrain demands more lateral movements like dodging branches or avoiding rocky patches. One of the most challenging cardiovascular activities around. Aim for a brisk pace for more benefits. The natural side-to-side motion your legs get from this sport is ideal for trimming the thighs, strengthening the quads, and lifting the glutes. It’s also perfect for people looking for a low impact aerobic activity that doesn’t shock the joints. The swaying, rhythmic motion while rollerblading automatically improves mental health- reducing stress, depression and anxiety. Create your own gym at the nearest playground with the monkey bars, benches, slides and swings. Circuit training is one of the best types of workouts to improve your cardiovascular health, burn body fat and build muscle. Add your own play to your workout with basics like push-ups, pull-ups, squats, lunges and planks using bars, beams, steps, slides, ramps and more.